For the last two decades the source material for chemtrails has been a mystery. 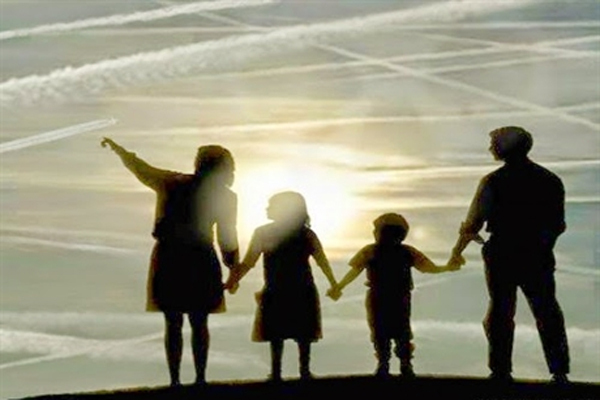 Finally, the apparent ‘perfect’ element base material of chemtrails sprayed from airplanes—both government and commercial—that causes blanket clouds and welsbach reflective materials in the atmosphere, has been identified. It’s coal fly ash wastes from coal burning power plants! In the almost 13 minute video posted below, the basic scientific analysis of coal ash identifies fly ash, which is high in aluminum oxide—about 30%. From the 9 minute mark on the timeline, important information should be noted. Apparently, coal ash—both types—is difficult and extremely expensive to dispose of, something like a billion dollar problem per plant, according to the video. However, fly ash easily is transported away from power plants by railcars—the very mode of transportation that brings the coal to the power plant to be burned. Trucks and barges also are used in transporting it to bases for spraying. What seems to be going on is this: Just like fluoride, which is a protoplasmic poison and toxic waste, coal fly ash has been forced into humans too. We drink fluoride in our municipal water supplies under the guise that it will protect our teeth—what a crock of malarkey! For at least two decades, we have been breathing coal fly ash deliberately being sprayed as part of weather geoengineering. Southeast Coal Ash Waste is an important resource to check out. Here’s another video that shows and talks about the extreme cold weather in the USA and melting Arctic methane as of January 8, 2015. Commentary is made that no low pressure is allowed to build up in order to control weather in the Pacific and West Coast of the USA. Aerosol trails over California prevent low pressure from building up, which may explain why California doesn’t get rain. There’s a map in the video with accompanying incredible information. Southern Alaska temperatures in January 2015 are in the 45s and 48. Definitely, not normal! Furthermore, there’s heavy chemtrailing going on over the Gulf of Mexico to keep the Jet Stream straight all the way to Europe. The 2013-14 brutal winter pattern is upon us again—a second winter in a row! “Strange January 2015 Weather Events” around the globe, especially earthquakes! See strange sky things—and all in just one month! Please share this information with everyone you know. Send it to your members of Congress, state legislators, newspapers, your local weather forecasters—everyone. We have to save our beautiful planet Earth. Catherine retired from researching and writing, but felt compelled to write this article.